So you have just booked your holiday to Cancun and you're all ready to go. You try to remember where you put your damn passport (It's almost always never where you THINK you last put it). After a few hours of turning your house upside down, you finally find your passport. You take a quick look at it and realise that you look completely different. You know your passport photo is old, maybe 5, 6 or even 9 years old! What's different? You have grown a frickin' big beard! Panick is now setting in! You'll start asking yourself questions like "Can I have a beard in a passport photo? ", or "Do I need to change my passport if I grow a beard?". Take a breather for a minute. In this article, I'm going to explore some of the common questions lads ask around this subject. I'll take you through some of the rules of what you need to follow in your passport and cover scenarios where you've either grown a big beard and moustache or you've shaved completely off (Not sure why you would ever do this), and your passport photo still has your grizzly awesomeness on your face. Can I have a beard in my UK passport photo? Yes, it's perfectly legal for you to sport a beard in your passport photo. If having a beard is part of your identity, then go for it. Looking at the rules for passport photos on gov.uk, there is no mention of any restrictions for beards. Why is a fringe banned, but a beard is ok? 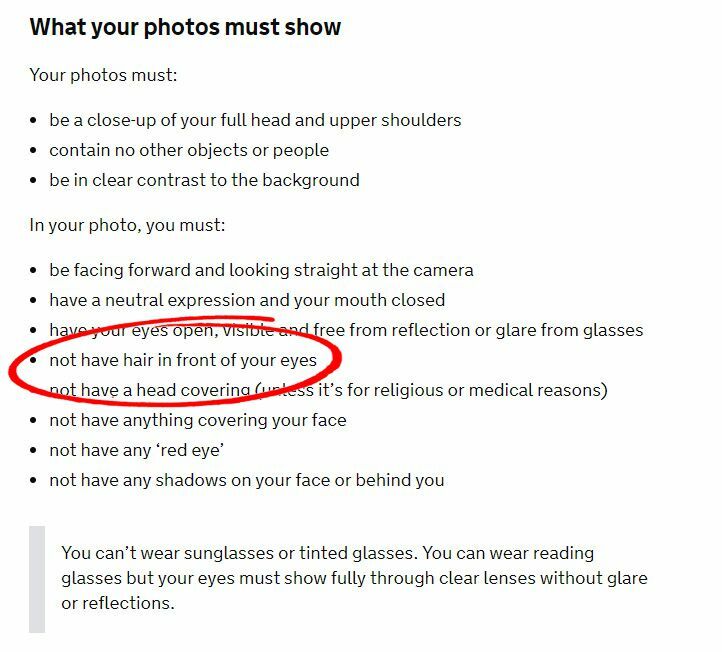 The only thing mentioned on the government site about restrictions of hair is where they talk about hair covering your eyes. So, if you have a fringe that covers your eyes, it will be rejected. This is because your eyes are your most identifiable feature, which is why you're not allowed to wear glasses or sunglasses in your passport photo. Now, I say this because I'm only talking about the rules and regulations of your passport photo. In a real-life situation, when you try and gain entry into a country, there could be any number of reasons why you might get stopped or blocked from getting through. But, there isn't any reason why your beard would hold it up from a legal standpoint. In reality, a beard shouldn't stop you getting passed customs/immigration officials, but I've read some really weird stories about how people have had problems because of the change of appearance. I've spent hours trying to find any examples of people having trouble because of their beard and I didn't find anything reputable. 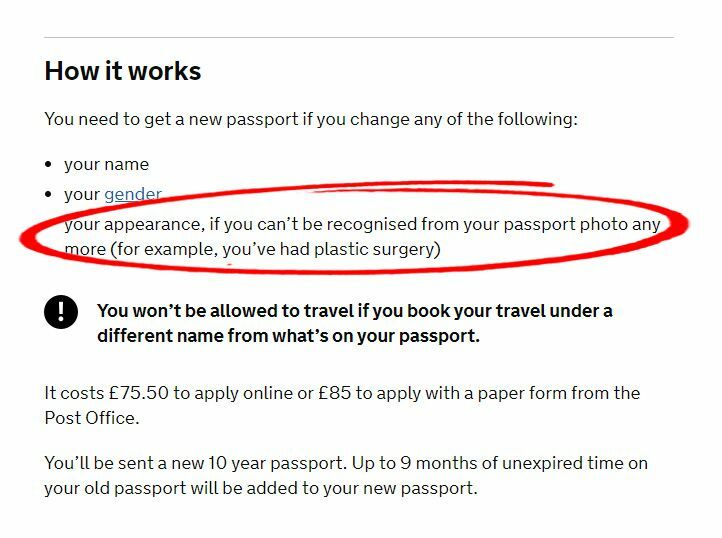 "your appearance, if you can’t be recognised from your passport photo any more (for example, you’ve had plastic surgery)"
So what exactly that means is pretty unclear. Has anyone ever had any problems? I can tell you from my own experience that I've never had a problem. My current passport photo is 9 years old. I look completely different in my view. In my passport, I'm clean shaven and really skinny. I look like I just signed up for the Britsh Army. If you look at me now, I wear glasses and rock a big bad boy beard, with a massive moustache. I've never had any problems, even for my recent trip to Sofia for work where my beard was at its longest. I have a mate that has had a fully grown beard for the past few years, but the photo in his passport is similar to me, cleanly shaven. He has not had any issues at most of the airports that he's been through, they just normally take longer to verify it's him (I can't say that I've noticed this for myself). But, last year in Asia he almost got turned away they were adamant it wasn't him. He was there for about an hour while they checked with various people. Luckily he got through in the end. What if I shave or grow a beard, does it invalidate my passport? The simple answer is no! Wheather you had a beard on your passport photo from 9 years ago, or you've grown a beard and your passport photo still sports your baby face, your passport is still valid. But remember, there is a grey area in the rules that states that your photo needs to be recognisable. I guess you can be the only judge of that. I say, if in doubt, update your photo, or if you're really worried, then trim your beard down. Not much to say here. It's pretty much the same as above. So go for it. Grow that cool handlebar moustache. But I would advise that if you're having your passport photo taken, try to keep it looking natural and maybe do away with the curls. I think it's pretty safe to say that you can have a beard in your passport photo. We've looked at the arguments for that at the beginning of the article. You probably have some mixed views on this whole subject of growing a beard later and being in the possible 'not recognisable' category. No passport renewal. Yes, you don't need to renew your passport, so you save bucks. There is a small chance that you might have trouble getting through passport control, depending on how unrecognisable you're deemed to be. You could be stuck in an airport, or even worse sent back home. Instant respect - You'll gain instant respect from lads on your travels. You'll get comments like "Dude, that is an awesome beard!". Locals will love it - The locals on your travels will lap it up. I can't tell how many times I've bee complemented by locals on my beard. Awesome photos - Having a great beard, gives you lot's of opportunities for photos when you're on holiday. I've even had strangers come up to me in bars asking to take a photo with me. Although that might have been because they thought I was someone else. You're feared - Yes people will fear your beard, which is good when you're trying to negotiate a price for hiring a scooter on holiday. lol. Chick magnet - Yep, the ladies will love it. They'll be all over you asking to rub beard oil into your grizzly beast. If you're going to keep the beard, and you should, then while you're travelling you still need to look after your beard. 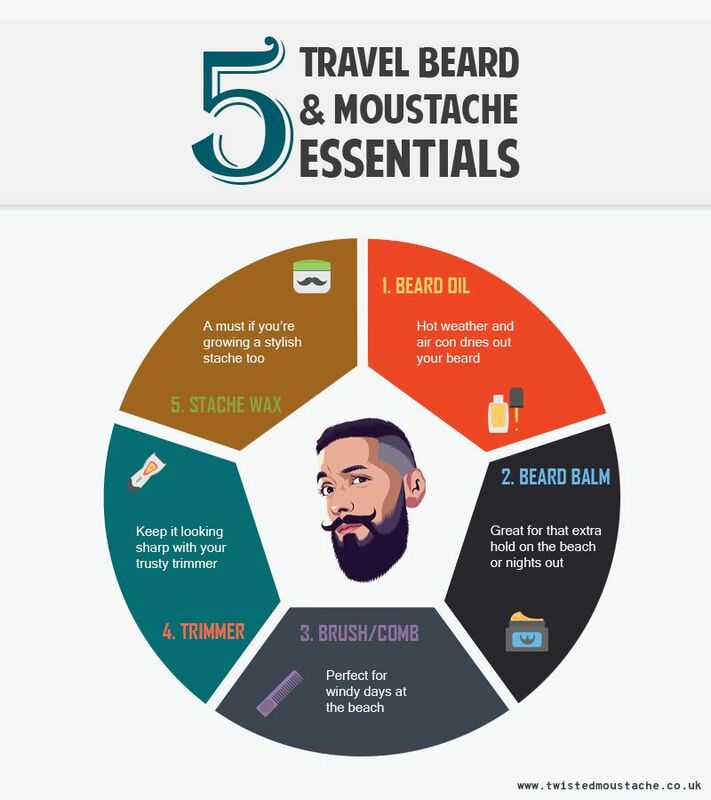 Here are my top 5 beard and moustache travel essentials for maintaining your beard and moustache. Beard Oil - Yes the secret sauce for your face beast! If having a good natural beard oil wasn't important enough for your normal everyday routine, then it's essential for when you're travelling. Hot weather and air conditioning can really dry your beard out and even give you beard dandruff. Make sure you carry some of this in your travel bag. 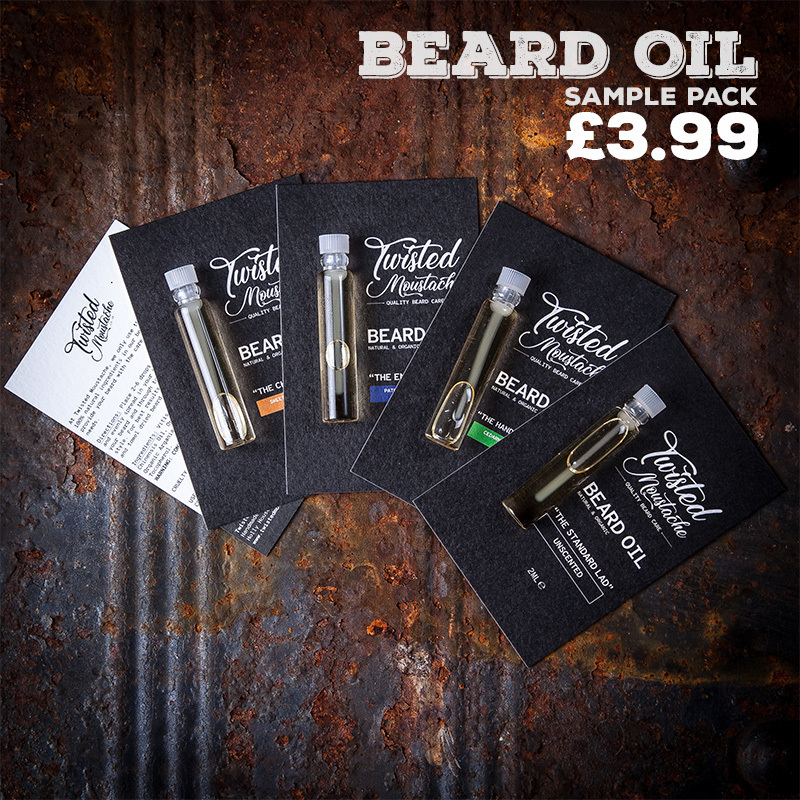 Check out our range of natural beard oils. Beard Balm - If you're going on holiday, then you're going to be out a lot, maybe to bars or even just site seeing. Beard Balm is great for giving you that hold, as well as giving your dry beards some essential natural oils. Comb or Brush - Hot weather, sweat from the heat you might find yourself washing your beard more. It's going to get knotty. Having your trusty beard comb or brush with you is a must. Beard Trimmer - If you're going away for a long trip, then taking your Beard Trimmer or razor is a no-brainer for keeping your beard and moustache looking sharp. Check out my top beard trimmer recommendations. 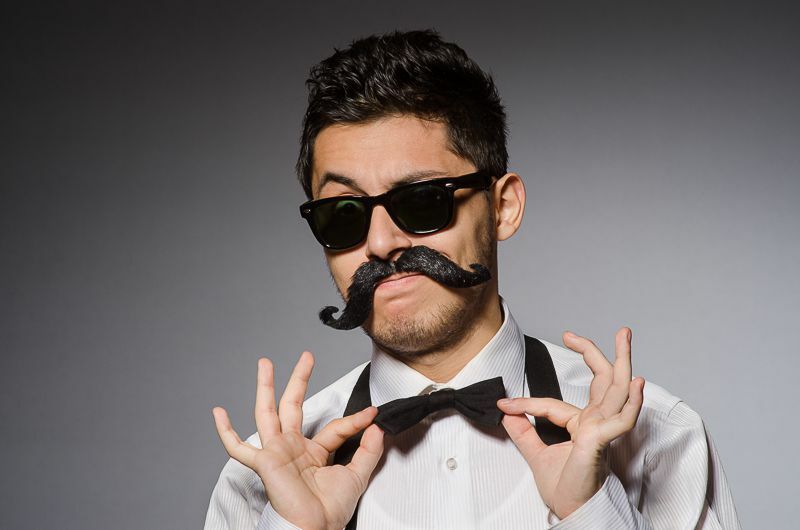 Moustache Wax - If you have a cool moustache like the handlebar moustache, then having some wax with you is always a good idea. As well as keeping your stache looking manly, it's gonna help keep it away from your food and drink because let's face it, that's all we do when we go away on holiday. 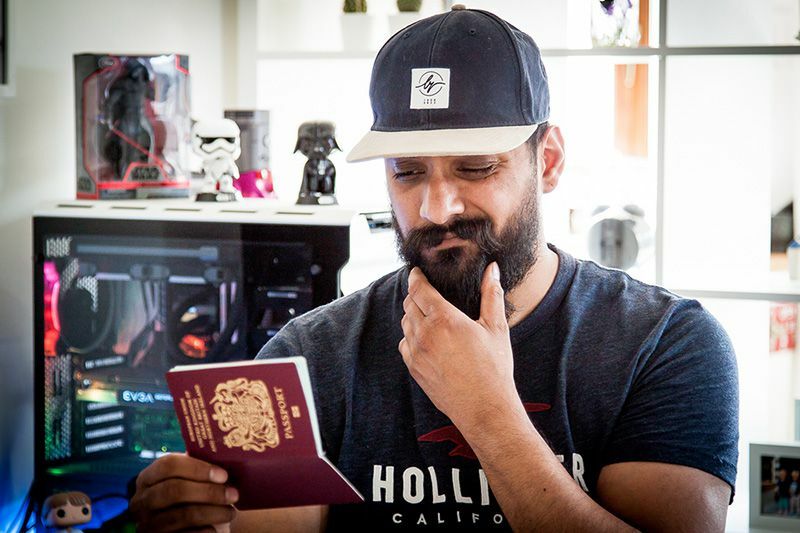 So in this article, we looked at the effect your beard could have on you being recognised in your passport photo, what the rules and regulations are in the UK for taking and using a photo for your passport and we also touched on the 'grey areas' around the term 'still recognisable'. My advice, if you're worried, either update your passport photo or trim your beard before you fly. But, as I mentioned above. I've never had any problems flying with my beard! Please let me know what you think and if you have anything else that could add value to this post, then please let me know.